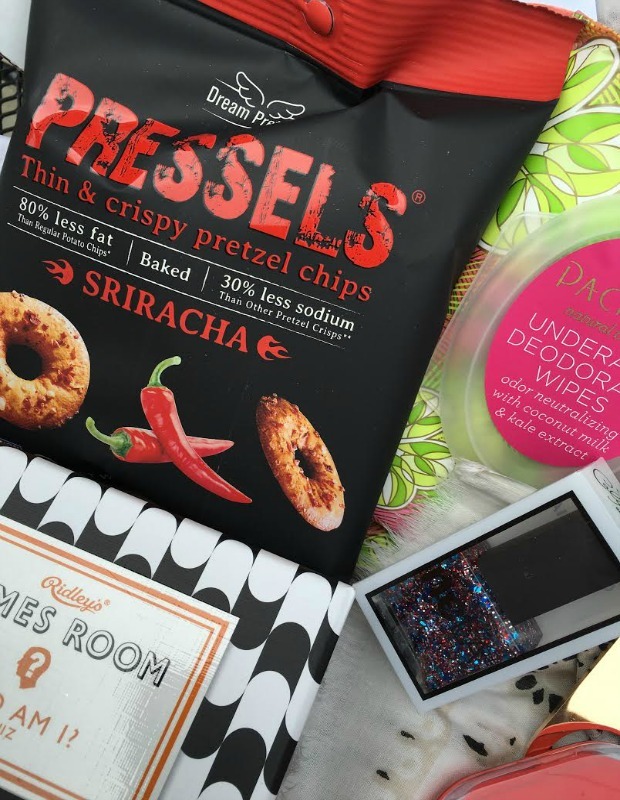 I’m not typically one for subscription boxes, mainly because I don’t really like the idea of just getting samples. I personally don’t feel like I can get a good read on a product by just using a sample for a time or two. I want the whole bottle- even if I don’t end up liking it, I had the whole bottle to give it a try! Not to mention-I may like a product sample out of a subscription box, but ordering the full size product usually gets forgotten, or drops to the bottom of my to-do list. POPSUGAR Must Have Box is ideal for someone like myself- not only do you get full size products, but they give you a variety. For example, it’s not just all beauty products, or foodie products! There is something for everyone in the Must Have box- a variety of beauty, fashion, fitness, food, and home! 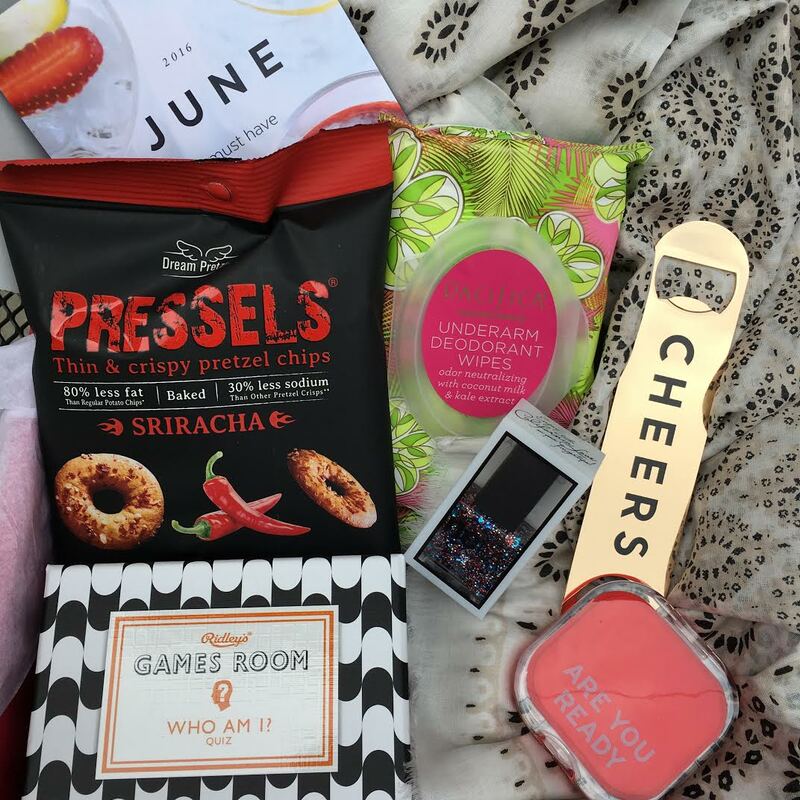 Because each box is handpicked by POPSUGAR editors, you never know what you are going to get! It’s a great value as well, simply because the total of all the products in the box when purchased separately is so much more than the price of the box! A monthly box is only $39.95 which is a great value, considering each box has over $100 worth of products in it! 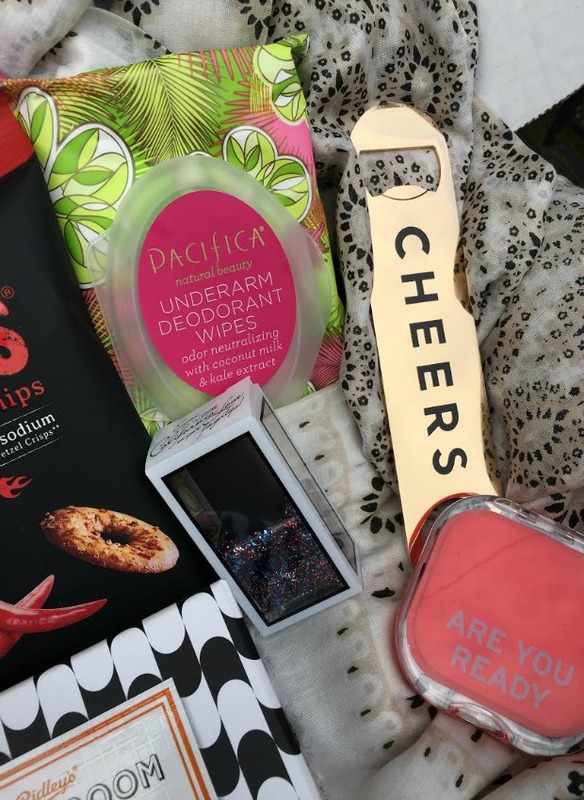 Here is a peek at what was inside my June Must Have box….needless to say, I was in love! I love the print of this sarong because it is super neutral and can match a lot. I also love it because it can be worn multiple ways-as a beach coverup or even just a cute scarf to add a little accessory to your outfit! Seriously what is not to love about this? It sure beats our cheap one we had from the grocery store. I no sooner had it out of the box and my husband was using it to crack open an Angry Orchard! It works well (important to my husband) and is super chic (obviously important to me)! And at only $12, you can’t beat it! It would make a great hostess gift with a bottle of wine or a six pack! This is a fun celebrity guessing game. It’s fun to play with friends (and maybe turn into a drinking game!). My husband and I enjoyed it and plan to bring it with us this weekend while we are hanging out for fireworks! Also another great hostess gift! Could this color be any more perfect for the 4th? This color was developed exclusively with POPSUGAR! Who knew I would be so excited for something as simple as a mirror? I currently don’t have one in my purse and am in desperate need of one, so this one went right into my bag! You guys. I love these. I sweat. All the time. No matter what. I always find I could use a little refresher and these work great. I am not a huge fan of the scent, but it makes me feel refreshed and not as gross and sweaty, so I’m a fan and definitely recommend! I wanted to love these. And I didn’t hate them, I am just not a fan of sriracha anything. The flavor was subtle at first but then had a little kick- one I didn’t like! I would love to try other flavors- I am sure they are good! Thank you to POPSUGAR for sponsoring this post. Although POPSUGAR sent me this Must Have Box to try, all opinions are 100% my own.